If the US Transportation Security Administration (TSA) kept airline passengers safe, Donald Trump has changed that. He said live on TV that he was proud to shutdown the government and would not blame the Democrats. "I own the shutdown," he said. Meanwhile, Americans are experiencing many disturbing effects of the shutdown. As a result, Trump backtracked. He now seems less proud of the shutdown and, indeed, is blaming the democrats for it. Courage is not one of his most obvious traits. In the 1960s he ditched the draft during the Vietnam War with the help of a fake doctor's attest. In doing so he followed in his grandfather's footsteps. 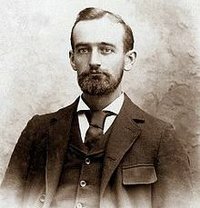 Friedrich Trump emigrated in 1885 from the kingdom of Bavaria to the USA. Later on he attempted to repatriate, but in 1905 he was kicked out of Bavaria for dodging his military service and failing to de-register from his homeland. Interestingly, his grandson Donald likes to say that other countries are "not sending their best people to the USA." It is self-evident that the current shutdown affects the TSA. But there is little evidence that the TSA is effective, so flyers do not need to worry too much about a possibly decreased safety level. The Federal Air Marshal Service is part of the TSA. ABC News reported that the TSA has made a major shift in air marshal operations in that they must fly in coach. The change should bring air marshals in a position to better monitor passenger behavior. Air marshals claim first or business class seats from airlines that must give the seats for free. So far, air marshals never thwarted any terrorist act. Whenever terrorist acts were thwarted in an aircraft, it was thanks to intervening passengers. This is logical because in all cases that are known, terrorist(s) invariably traveled in coach class. Thus, air marshals traveling in first or business class are not in the best position to react adequately to a terrorist threat. 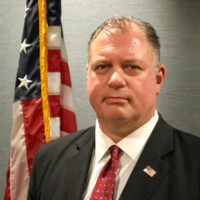 Brian F. Borek, president of the air marshals' Federal Law Enforcement Officers Association, commented to ABC News on the change of service class for air marshals. Unsurprisingly, air marshals do not support the policy change and vehemently disagree with having to travel in coach. This is exactly what one would expect. Nobody is happy with a downgrade from first to economy class. But that is no reason not to do it because air marshals might become more useful if they travel in the same class as a terrorist. Related: "How to spend (or waste) billions" and "Passenger screening will remain at smaller airports"
How useful are air marshals?